When it comes to decorating, it’s the little details that make a room – the wall art for a splash of colour, the rug to pull the room together, the technology to add a modern touch. But buying new home decor is often expensive – and excessive, too. 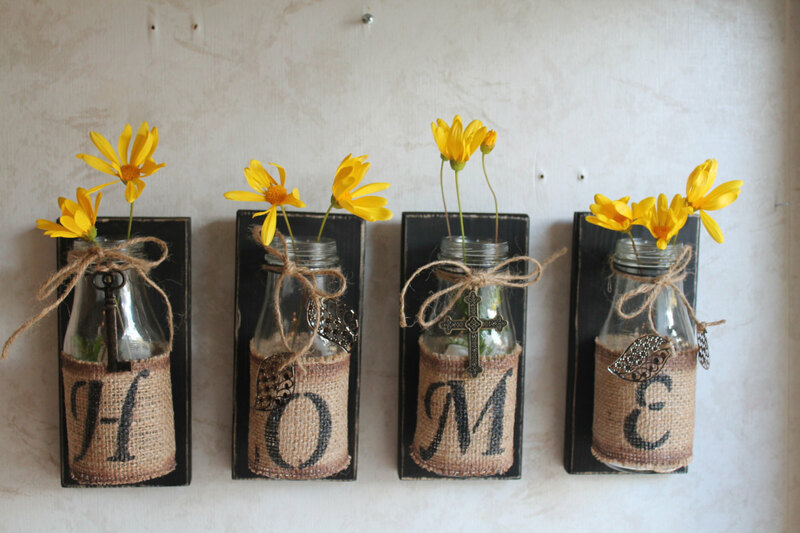 Upcycled DIY home decor reduces waste, saves money, and greenifies living spaces. While we have enough money for a night out, or a mini-break to Amsterdam, decorating falls short on the list. With upcycling, decorating needn’t be so pricey, complicated or time-consuming. Every so often, we get tired of how a room looks and want to switch it up a bit. These days we can choose to decorate our homes in pretty much any style we like. However, rather than just tossing furniture or home accessories and replacing them with new things. We prefer to reuse and upcycle what we have into a new look by mixing with other items. It is thought that handmade products are just as expensive as buying a new object and is seen as undemocratic if only the rich can afford it. It’s not always the case that upcycled is more expensive than buying new, you just need to know where to look for it. Most importantly though, upcycling, like any art form, is something anyone can excel at regardless of their financial status. Upcycling is all about breathing new life into old items – whether it’s furniture, home accessories or, even clothing, you should think of upcycling as recycling old items into much nicer trinkets for your home. So before you get rid of that patchy old armchair or ditch your dated desk for a swanky new piece of oak, stop and have a think about how your beloved home accessories could be updated and re-used. Used or discarded objects are recreated as unique home accessories – old wine barrels transform into bookcases, photo frames to food trays, and bottles to desk lamps. Ready to get creative? Read on! 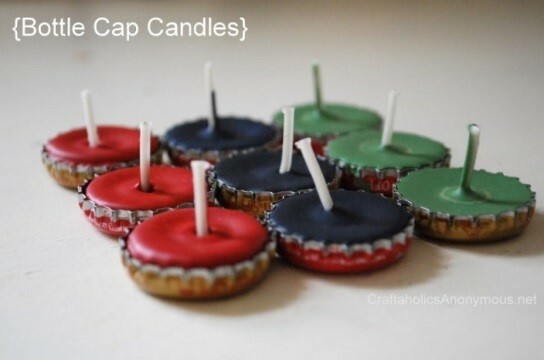 If you’re looking for something to do with your unique collection of bottle caps, these candles are a great way to light up your home. How it’s done: Put the crayons in a tin can, then place your wicks inside the bottle caps. Then fill a small cooking pan with a few inches of boiling water and place the tin can in the can and melt the crayon. After a few minutes, pour the melted crayons into the bottle caps. Let cool for 1-2 hours and trim the wicks and you have some fun tea light candles to enjoy! Find the full instructions here. This is also a great idea for antique mugs or cups. Instead of throwing them out, make a candle! 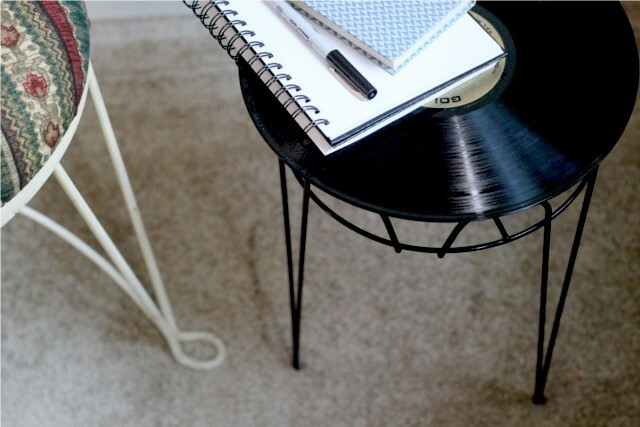 If you’re looking for a nice way to display your neglected vinyl record collection, this table will bring a pop of vintage to your room. How it’s done: Dust down your record and heat up your glue gun. Apply an even line of hot glue along the top edge of the planter then place the record on top of the planter while the glue is still hot. Let the glue cool and harden – and you are done! Super easy. Find the full instructions here. Because vinyl records melt so easily, there’s a lot you can make with them. Try this bowl next! Salvage old clothes hangers with this quirky wallpaper idea that will make a practical and colourful addition to a bedroom, office space, or kitchen area. 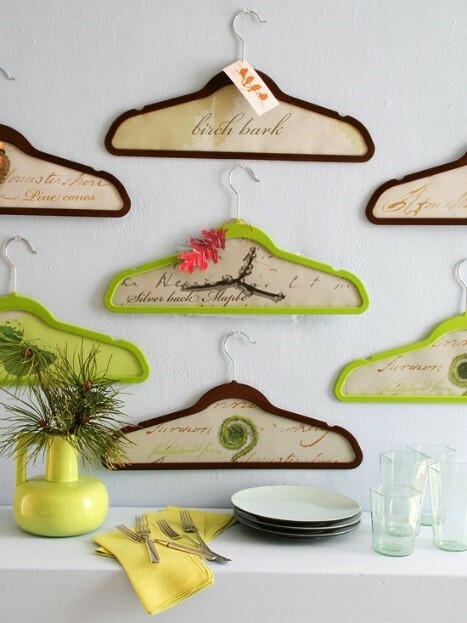 How it’s done: Gather some colourful thick clothes hangers, get some creative wall paper. Trace the shape of the hanger on to it and cut out the shape. Glue around the inside of the hanger and stick the wallpaper inside it. Find the full instructions here. There are also several other great ideas for clothes hangers. Instead of throwing them out, be creative! 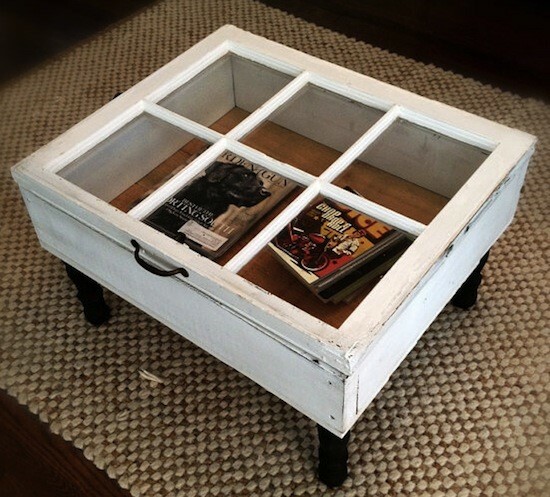 The perfect DIY project for window lovers, this eclectic piece will bring a rustic feel to any living space. Also, serving as a storage component. How it’s done: Click here for the guide to making this cool table. It’s time to clean out your closet and get rid of the mountain of old t-shirts you never wear. Instead, repurpose them as soft, sentimental pillow cases. 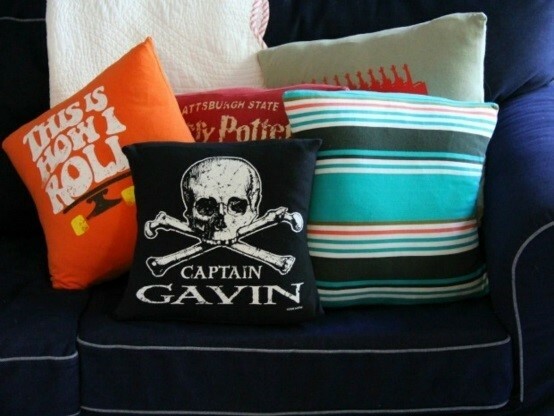 Upcycling T-shirts into pillows is a fast and easy sewing project that anyone with beginner-level sewing skills can handle. How it’s done: Cut the fabric to the desired size, allowing for 1/4-inch seams. Sew the sides together, leaving an opening to fill. Use filling to stuff your pillow, and then sew it closed. Push the filling to the bottom of the pillow and feed the unfolded edge through the sewing machine. T-shirt pillows make great gifts! Try it out with a shirt of your friend’s top band, college mascot, or favourite colours. It’s time to put your old magazines to use and create one-of-a-kind, wall art that will look creative and fun in your bedroom. How it’s done: Print and cut out a silhouetted shape. Tear out a bunch of magazine pages. Fold in half twice to get four small rectangles. Start to roll! Tape the end to avoid it from unravelling. Hot glue your magazine roll-ups to your silhouette. Once the silhouette is covered, trim off the extra magazine pieces. Glue magazine silhouette to your wood board. Find the full instructions here. This wall art can also be done in different shapes. Add some decorative different shapes for an extra touch. 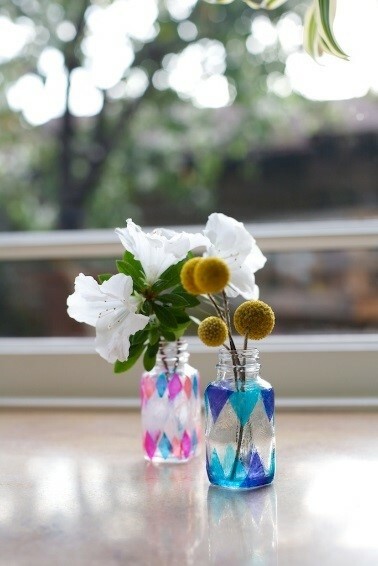 As a creative project, why not create decorative bottles for potential flower vases? With a little bit of TLC, you’d be amazed how easy it is to can transform objects. How it’s done: Use scissors to cut pieces of tissue paper in whatever colours you choose. Paint a little mod podge on the glass first then place the tissue on the glass, and then follow up with a thin coat of mod podge. Follow all along the glass, cover completely or make a pattern. Find the full instructions here. 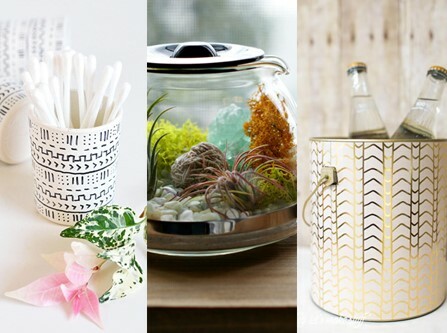 Add some small flowers to make this a truly eco-friendly home accessory. 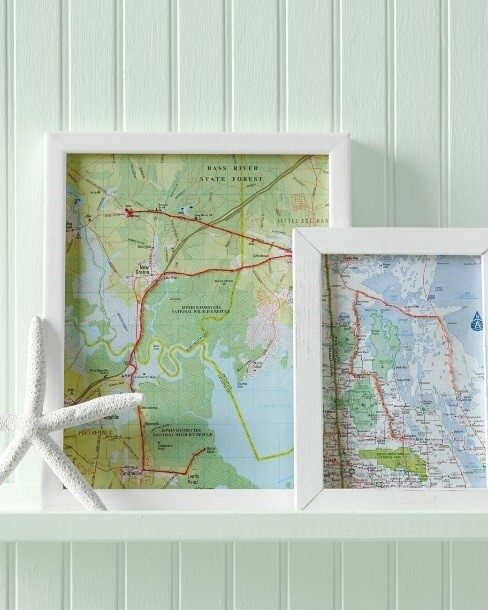 A creative way to preserve memories while upcycling old maps, you can even stitch your route for a trip down memory lane. How it’s done: Cut the map to fit the frame and then use the needle to poke holes in the map along your route. Using a backstitch, sew along the route, finishing with an X at your destination. Find the full instructions here. You can also use old maps, instead of a regular frame, to add a quirky border to any picture. 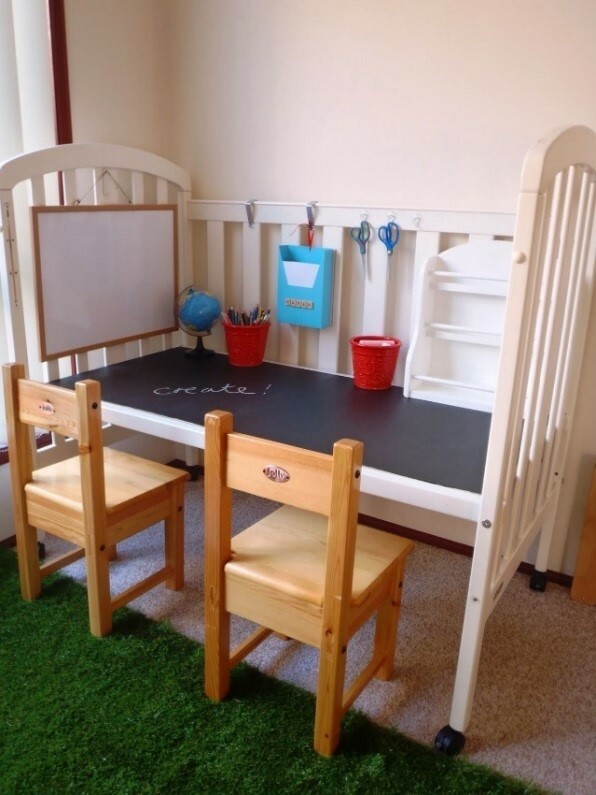 It is hard to see that they are growing, but what better way to face it head on than too convert the out-grown cot into a decorative child’s drawing desk. How it’s done: Remove a drop side, then cut two sheets of thick mdf to fit into the mattress base to provide a table top. The paint the board with blackboard paint to create a chalkboard table top. Find the full instructions here. Why not try and experiment other things with your old baby cot? instead of a desk, have a look at some other ideas here. 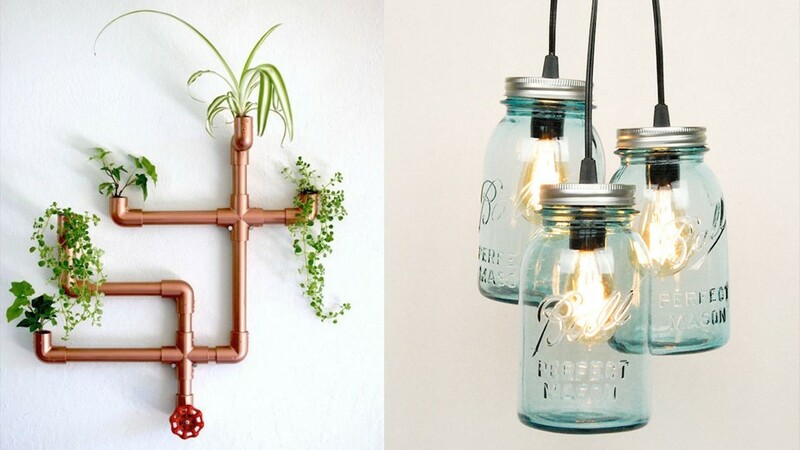 If you’re interested in creative ideas, you can find more upcycling creations here. Also, check out our infographic on how to upcycle a rug here. All it takes is a little imagination to turn that budget-friendly thrift store find into an eye-catching piece that will add loads of personality to your home. So, which was your favourite creative idea? wicked idea love the vinyl table!